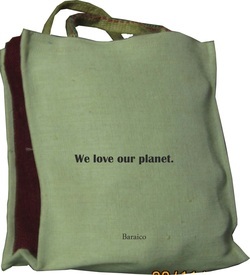 This is a simple shopping jute bag from Baraico. It is cheap, eco-friendly and biodegradable. We can supply this product at a very cheap price if ordered in bulk. Minimum order 100 bags. We can customize the bags including adding logos at a special price.